I’m incredibly late with this update, so I am terribly sorry for my delay!! That being said it is time for my week four of Slimming World update and since last week wasn’t the best with a 1lb gain did I manage to get back on plan? During my Slimming World week four journey I hit some challenges, but most of them were down to my own state of mind. IF I am honest, my head hasn’t really been in the game which is probably why last week saw that small gain. I think this is the thing with weight loss we go in all guns blazing and if you are anything like me you’d like to see instant results overnight. There is nothing I would love to wake up tomorrow looking and feeling slim but that’s the thing weight loss is a process and results don’t come overnight. I think this is why I have previously found myself leaning into crash diets – you know the ones where you starve yourself for a week, but you start to see the weight drop off quickly. The thing is the weight loss is never long term, and it often goes back on quicker than it left. Those kinds of weight loss techniques are unhealthy and damaging which is why I really do love Slimming World because it is none of that. What I need to do though is remember that this journey is going to take time and that is ok, but I must stick to it if I want results! Although I have stuck to plan this week, I have struggled with the mental aspect of things, but as with anything I am becoming accustomed to the fact that this is a process and it will take time. It will sure as hell take a lot longer if I quit now!! I’m pleased to have lost this week I was nervous that the scales would show another gain and although I’d love it to show a higher number a loss is a loss. It’s also been that time of the month, so I am far more bloated than I usually am and I am hoping this water retention is a calculating factor! Next week I hope to see another loss, but I am not worried about the numbers. If I continue on a pass of small losses they will eventually tally up to a more significant loss and that is the overall end goal! I struggle with exercise at the moment due to my Psoriatic Arthritis however I do plan on engaging in some gentle movement as it’s good for both mental and physical health! Have you been doing Slimming World? How did week four go for you? 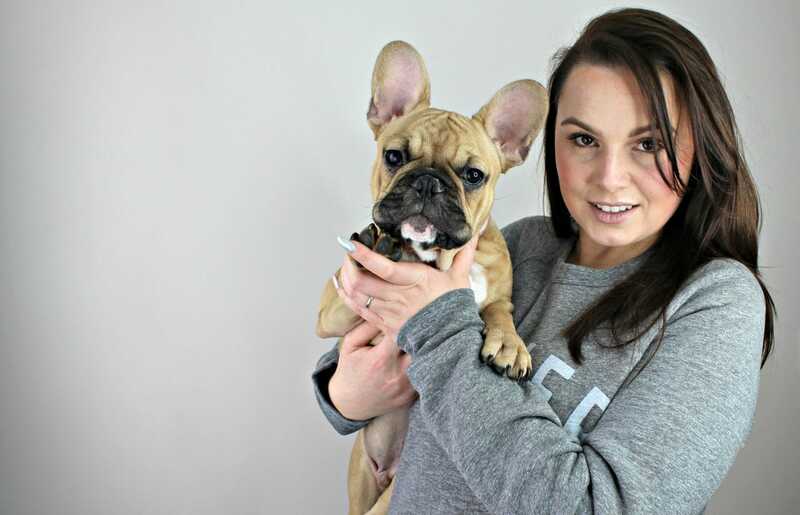 Make sure that you are following me on Facebook, Twitter and Instagram as well as coming back here next week to find out how I got along in week five! You can check out my week one, two and three updates here. 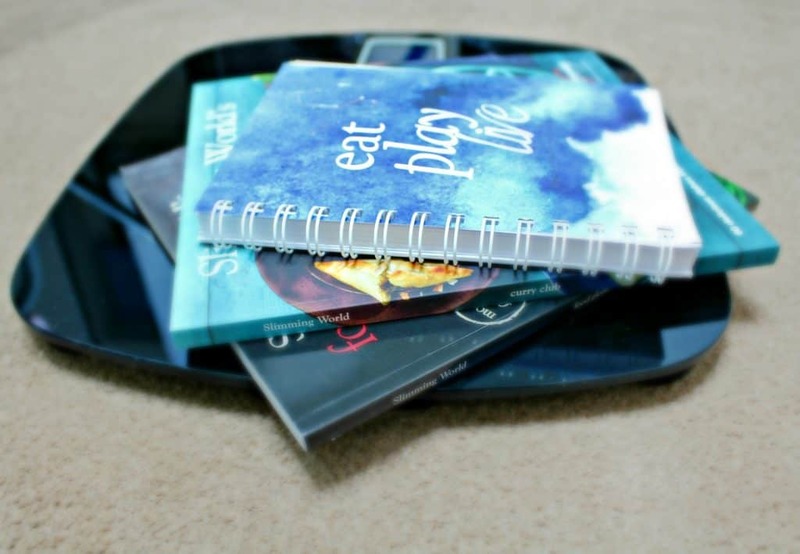 If you want to start Slimming World, this post is helpful, as well as this challenge and you can read about my Slimming World essentials here. 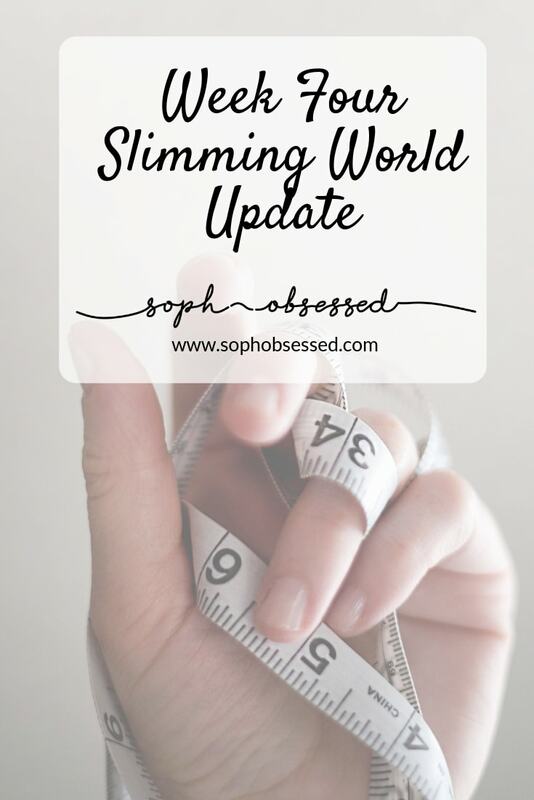 I am not associated with Slimming World and this post is based on my own experiences. Please speak to Slimming World direct for up to date information on their weight loss plans. Please seek advice from a medical professional before changing your diet.